Google News Indexing & Ranking Pages But Not Google Search? 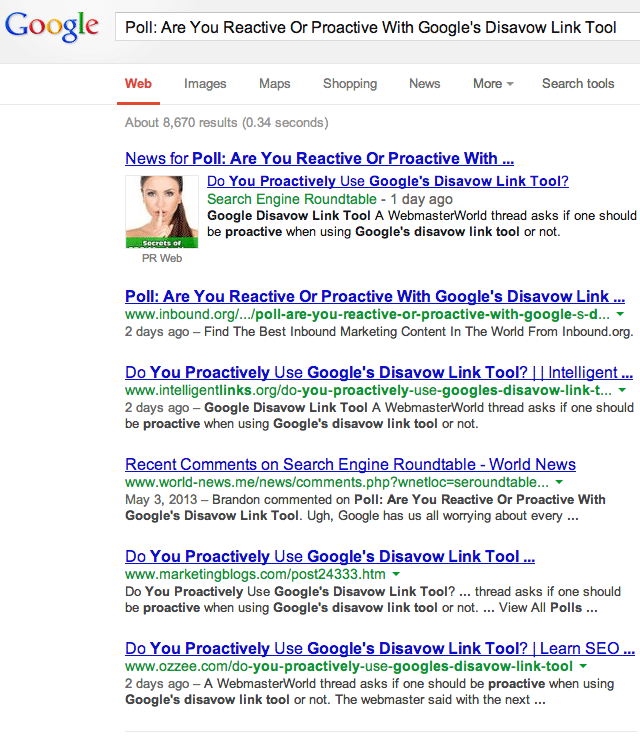 Home > Google News > Google SEO > Google News Will Index My Content But Not Organic Search? Google News Will Index My Content But Not Organic Search? A WebmasterWorld thread asks a question I've seen pop up fairly often for this site. It seems and appears on some occasions, not always, that Google won't index a page on the organic side but it will do so within Google News. Now I said, "seems" because Google is technically indexing the content but not showing it in the organic results but rather only the Google News results. For example, this post from a few days ago seems to be hit with this. A search in Google for the title tag or headline only brings up the page in the news index but not the organic results. As you can see, the article shows nice and fine in the news index at the top but no where in the organic listings. The thing is, what I think what is happening here is that Google has indexed it but is only displaying it once in the search results. So if for some reason Google thinks it is more news oriented, it will show in Google News and if not, it will show in the organic results. There are other theories in the WebmasterWorld thread, which may or may not be related.